I’ll admit I have a little trouble getting my head around much of the infomation I read about GM food. Is it safe? Why isn’t it labeled? Can something from nature really be patented? Will GM foods feed the world’s hungry, eliminate poverty? Are they the reason there are more allergies? Diseases? What do they do to animals? The environment? Our children? There are scientists who say GM foods are safe and scientists who say they aren’t. There are people who say they’ll eat GM foods and people who say they won’t. Some want them labeled, some don’t seem to care. The list goes on. The questions don’t get answered. Here’s an idea. For starters, how about instead of saying what a product or food isn’t, we start calling it what it is. It’s simple and straightforward. For example, in the story below, the GM carrot would not be called a carrot. It would be called sCAX1. 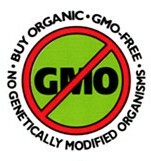 The GM corn that France is currently banning (but the US doesn’t) would be called MON810. That way the people who don’t mind buying and eating sCAXi and MON810 can go for it. Those who would prefer not to, don’t have to. And a carrot can just be ….a carrot. A GM carrot has been produced to help people absorb more calcium to help treat the brittle bone disease osteoporosis. The carrot that has been genetically altered to make higher amounts of a calcium transporting protein was developed by researchers at Texas A&M University, College Station, Texas. Today, they report the results of trials of the carrot on 15 men and 15 women. In people who ate the fortified “sCAX1” carrot, urine measurements revealed a net increase in calcium absorption, say the researchers, who did the study in conjunction with Baylor College of Medicine to see if the supercarrot can help prevent such diseases as osteoporosis. “If you eat a serving of the modified carrot, you’d absorb 41 percent more calcium than from a regular carrot,” says Dr Jay Morris, lead author of the study in the Proceedings of the National Academy of Sciences. Both men and women absorbed higher amounts of calcium from the modified carrots on a per serving basis. But the technology needs to be available in a wide range of fruits and vegetables so that people can get the calcium benefit. “We believe that if this technology is applied to a large number of different fruits and vegetables, that would have an even greater impact on preventing osteoporosis,” he adds. But if vegetables and fruits could be bred to contain more calcium, then a diet that includes a variety of these produce might come closer to providing necessary calcium. As for when the modified carrot could be on the shelves, at least in America, he says: “There are still some safety issues to address. The carrots have been grown in very specific, controlled environments, so how they grow and perform in real world field trials needs to be studied. Try eating almonds for calcium. who says carrots have to have calcium. God knows what he is doing. We don’t eat any corn anymore or corn syrup, but we sure do have a big garden, canned 350 quarts last year. That’s kind of silly. Do we then call all sweet corn that contains the gene “sugary enhancer”, Sugary Enhancer instead of Sweet Corn? If cans of sweet corn said “Canned shrunken 2” instead of “Canned Sweet Corn”, would anybody understand what it is? (Both of these genes are in sweet corn due to breeding, BTW) sCAX1 carrots are still carrots, fundamentally, as with any minor modification made through breeding or genetic engineering.